Oxford Stone & Marble was established in 1979. The business has evolved throughout that time but the essential principles of friendly customer service, stone expertise and traditional skills remain at the core of our business today. There are over 60 years of stone experience across our team. More recently there has been investment in machinery and technology to complement our stone masonry team. This combination ensures we can tackle jobs of all levels of complexity. Trade and retail customers are welcome to visit the 5,000sq. 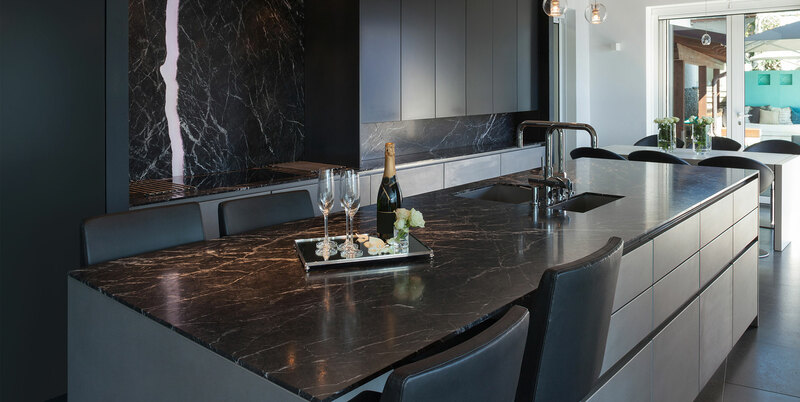 ft showroom/workshop to discuss their requirements and to see first hand our range of granite, marble and quartz stone. Everything is managed in-house. We are based on the Horspath Industrial Estate and are open 5 ½ days a week – check our opening hours or make an appointment. We’re just a minute off the Oxford Ring Road and very near the BMW Cowley Plant. Look out for our distinctive pentagon Oxford Stone & Marble logo. Each item is a bespoke one off – produced to your particular specification and to the highest customer quality standards. We provide a 7 -10 days turnaround. Kirstie and Charlie in our Sales Office will guide you through the stone choices available, the edging options and how the process works with Oxford Stone & Marble. We’ve been around for almost 40 years so your order is safe with us. Our business grows primarily from word of mouth which reflects our commitment to excellent customer service. And if problems arise we work hard to find solutions as quickly as possible – it’s this that sets us apart from others. Granite and marble are natural materials and consequently there can be colour variations and variations in the pattern of the stone. We believe this is what makes granite beautiful but if you would prefer a more consistent look consider quartz as a great alternative. All stone products are hard wearing but they aren’t unbreakable, unscratchable or unstainable. We protect all our pieces with specialist stone sealant but they will need some TLC throughout their life to ensure they look their best for years to come. Read about our Care & Maintenance.